Pountourakis, E, & Schäfer, G. (2014). 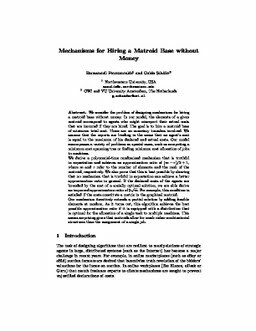 Mechanisms for Hiring a Matroid Base Without Money. In Proceedings of International Symposium on Algorithmic Game Theory 2014 (SAGT). Springer.